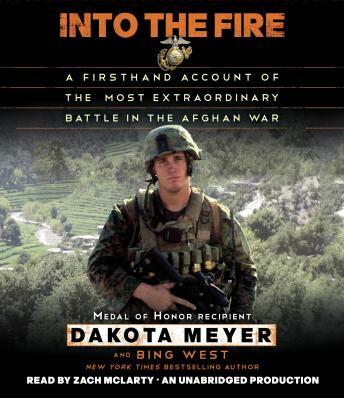 We see it all through Meyer’s eyes, bullet by bullet, with raw honesty in telling of both the errors that resulted in tragedy and the resolve of American soldiers, U.S.Marines, and Afghan soldiers who’d been abandoned and faced certain death. Meticulously researched and thrillingly told, with nonstop pace and vivid detail, Into the Fire is the true story of a modern American hero. A gripping story that wouldn't let me go. The narrator made you believe.